created by Medicare’s complex enrollment rules through legislative solutions, like the Beneficiary Enrollment Notification and Eligibility Simplification (BENES) Act. This commonsense legislation would empower beneficiaries to make optimal enrollment choices, while modernizing and simplifying the process itself. 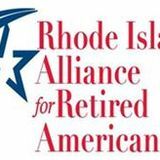 We also support adequately funding community-based organizations that provide outreach and benefits enrollment assistance to lowincome Medicare beneficiaries and State Health Insurance Assistance Programs (SHIPs) that provide one-onone counseling to help people make informed Medicare coverage choices. Read the new Expansion Medicaid Transitions Guide. 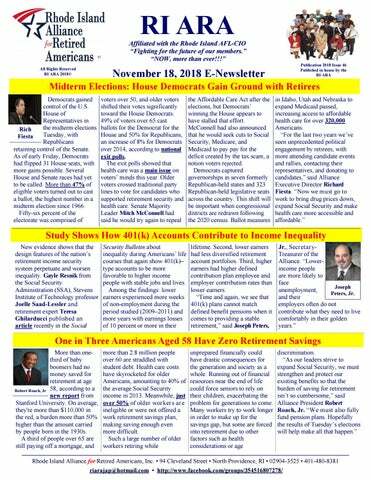 Read our issue brief Toward Seamless Coverage. perhaps not name them — and advise consumers to contact the plan for more information. A Medicare spokesperson confirmed that there is currently not an indicator on the plan finder for plans offering these expanded health-related supplemental benefits. In addition to extra benefits, other variables should be considered when choosing an Advantage plan, such as which health care providers and pharmacies participate in a plan’s network, which drugs are covered and the costs. Where available, several insurers say the new services will be free with no increase in monthly premiums. “We certainly believe that all of the ancillary benefits we provide will help keep our members healthy, which is good for them, and it’s good for us in the long run,” said Steve Warner, head of the Medicare Advantage product team at UnitedHealthcare, which insures about 5 million seniors or 1 in 4 Medicare Advantage members. Insurers are betting that services will eventually pay for themselves. Dawn Maroney, consumer president at Alignment Healthcare, which serves eight counties in Southern California, said it’s much cheaper to give an air conditioner to someone with congestive heart failure to keep that patient healthy than to pay for more expensive medical treatment. But if the new benefits are such a good idea, they should be available to the majority of older adults in traditional Medicare, said David Lipschutz, a senior policy attorney at the Center for Medicare Advocacy. 363,000 low-income people eligible for the program next year. These states had previously declined to extend Medicaid coverage to adults earning up to 138% of the federal poverty level, as envisioned in the ACA. Medicaid expansion is also likely to move forward in Maine, as Democrat Janet Mills will take over for outgoing Gov. Paul LePage, who fought to block the voter-approved expansion. Looking ahead, Wisconsin and Kansas—two other Republicanled states that have resisted Medicaid expansion to date— may soon be more open to it, as Democrats won those gubernatorial races on Tuesday. While January will usher in new lawmakers with new priorities, the current Congress returns next week for the lame duck session. We anticipate a busy agenda in November and December, as Republicans look to take advantage of their timelimited House and Senate majorities, and outgoing lawmakers work to pass longstanding priorities. Throughout the upcoming session and beyond, Medicare Rights will continue to advance policies and identify opportunities to strengthen and improve Medicare. everyday quality of life," she added in a Hopkins news release. "We need to better understand these relationships to determine if treatment for hearing loss could potentially reduce risk and help maintain health in older adults," Deal added. However, the studies did not prove that hearing loss causes other health problems. The studies were published Nov. 8 in JAMA Otolaryngology -Head and Neck Surgery. Hearing loss affects 38 million Americans, and that number is expected to double by 2060. Hearing loss affects one-third of Americans aged 65 to 74, and two-thirds of those 70 and older have clinically significant hearing loss, according to background information in the news release. eligible to take statins. A week after those guidelines were published, two Harvard Medical School professors questioned whether formulas used to determine high cholesterol might overestimate people's risk. Dr. Steven Nissen, chairman of the department of cardiovascular medicine at The Cleveland Clinic and critic of the 2013 guidelines said the latest revisions represent a "great improvement" over the guidelines issued five years ago. Nissen said the key additions include thresholds for treating patients with high cholesterol, and better guidance for treating people over 75 years old and under 40. "It’s much more in line with what a lot of us think should have been done in 2013," he said. Blood pressure drug recall expands again The US Food and Drug Administration says another heart medicine is being voluntarily recalled after tests showed that it was tainted with a potential cancer-causing chemical. The recall includes one lot of Sandoz's losartan potassium hydrochlorot hiazide 100 milligram/25 milligram tablets with the lot number JB8912. Patients use these drugs to keep their high blood pressure in check. The drug is being recalled because the active ingredient has tested positive for NNitrosodiethylamine or NDEA, a suspected human and animal carcinogen that is used in gasoline as a stabilizer for industry materials and as a lubricant additive, according to the National Institutes of Health. not all valsartan and irbesartan drugs are involved in the recall, you might be able to switch to a version by another company. It's unclear exactly what the cancer risk is if you take the contaminated valsartan pills; the FDA believed that the risk was low with the valsartan recall. It estimated that if 8,000 people took the highest dose of valsartan (320 milligrams) containing NDMA from these recalled batches daily for four years, there may be one additional case of cancer over the lifetimes of 8,000 people. Many patients take a much lower dose of valsartan, and therefore their risks are theoretically much lower. The FDA said it will continue to test all products containing valsartan and similar drugs for the presence of impurities.